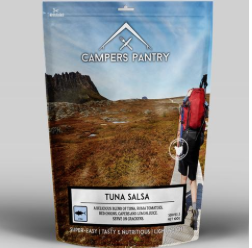 Tuna Salsa is a new freeze dried offering from Campers Pantry. Over the past year Campers Pantry have introduced a new range of meals onto the market for outdoor enthusiasts. And getting to the end first, this one is great! I usually get to taste-test the fish-based meals because Tim isn’t a fan but more so because I actually enjoy them and find they’re a great source of much needed trail protein. I’m not sure what it is with tuna for lunch but you can go to almost any Aussie workplace and open up the drawer or locker of the mostly female workers, and find a tin or two of tuna. I’m the same except I’ll usually carry mine with me. Because tuna is such a lunch staple for me, I miss it when I’m hiking. But no more. I got to try this new meal prior to release. 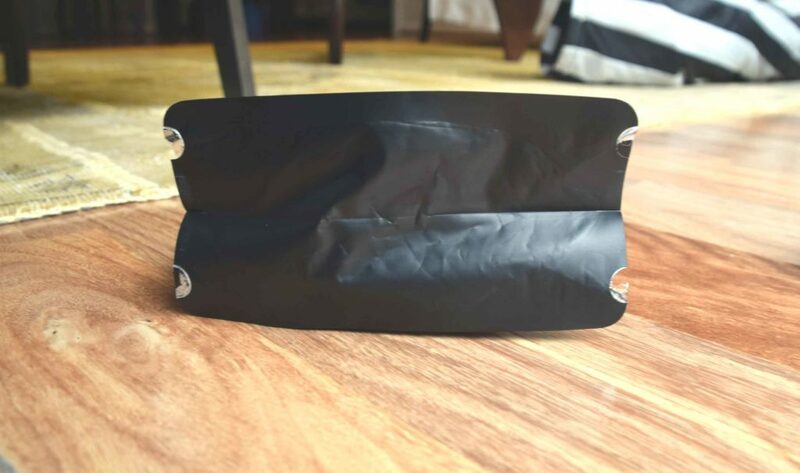 The pack size is 100g and the preparation is simply the addition of cold water and a good stir. 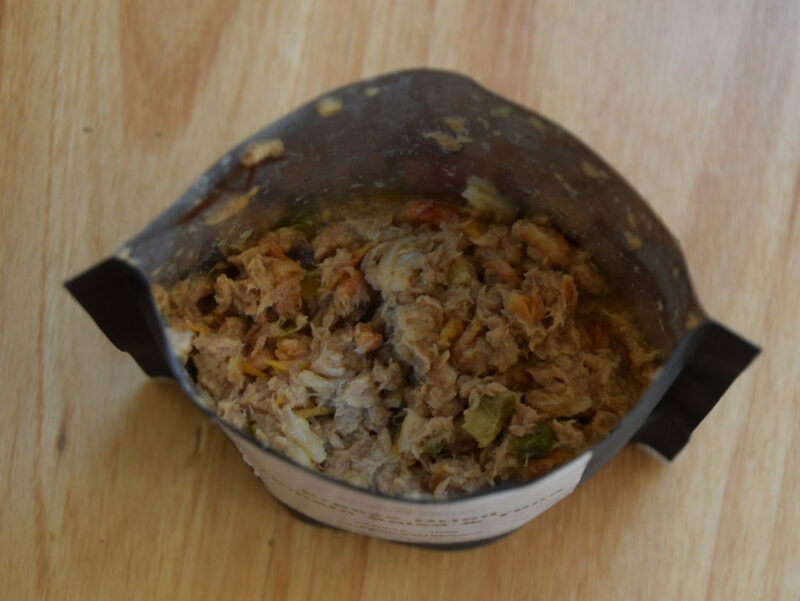 The tuna is plentiful and the salsa is subtle; tasty but not overwhelming. I definitely felt I got my tuna hit from this meal. 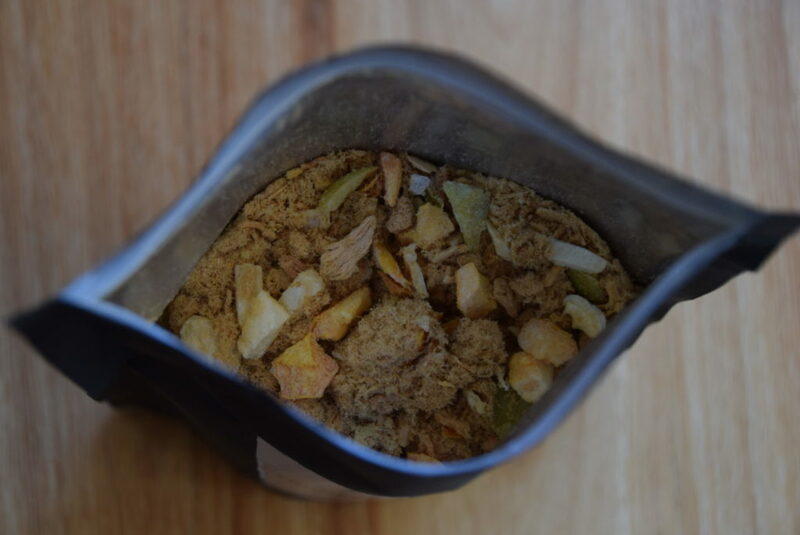 The texture is great and you can definitely recognise what you’re eating – a very important aspect for me! The meal comes in a bag that is well designed so you can eat out of the bag and leave the bowl at home. Alternatively you can prepare this dish in a seperate container and use as little or as much as you like, saving the rest for later. My only problem – it is a ‘serves 2’ size so eating the entire pack is definitely way too much for one person for a single meal unless you are really hungry. I’m going to have to find a new hiking buddy to share this one with!